Can the Zika virus affect my pet? As I go through my morning routine- which consists of a shower, coffee, feeding the dogs and cat, and putting on my scrubs- I almost always have the news on in the background. For months, the Zika virus has been making headlines almost every day. The threat to humans is very real, and we should evaluate our own behaviors and take precautions to minimize our risk. But what about your pets? News outlets are bombarding us with the latest developments on the threats to the general population, but have said very little, if anything about how it may effect your dogs or cats. Here’s what you need to know. At this time, veterinary research experts have found no reports of pets or other animals being made sick by the Zika virus. However both the Centers for Disease Control and veterinary researchers agree that more research needs to be done before we can say with absolute certainty Zika cannot affect your pets- but confidence is high that the Zika virus will not pose a threat to your dogs or cats. But what if my pet is bitten by a mosquito that carries the Zika virus? Can they spread the disease to me or others? Current research says no. In such an instance, your pet would be considered a ‘reservoir host’, meaning that they carry the virus, but show no ill-effects from it. To date, the only known ‘reservoir hosts’ of the Zika virus are humans, and non-human primates. Your pet has a much greater risk of being affected by a mosquito transmitting heartworm disease- so make sure you are protecting your pet with heartworm prevention products- such as Heartgard, Trifexis or the longer-lasting injection- ProHeart- which protects your pet against heartworm disease for 6 months. 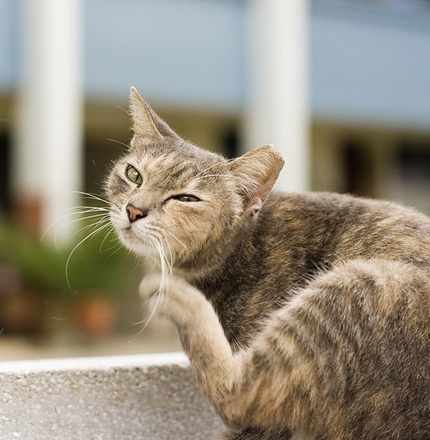 I know that mosquitoes are bad right now- can I use products containing DEET on my pets? Simply put, NO. DEET can cause severe eye irritation, lethargy, airway inflammation, gastrointestinal issues, tremors, seizures and disorientation. Never use a product containing DEET on your pet. Ever. 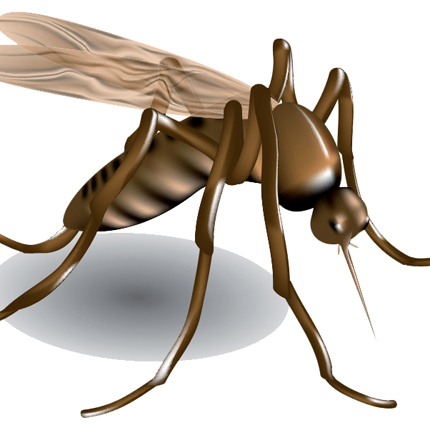 As I mentioned earlier, the biggest threat from mosquitoes to your pet is heartworm disease. First- avoid the exposure as much as you can. Mosquitoes love sunrises, sunsets and long walks on the beach. Maybe not the long walks on the beach- but they are most active at dawn and dusk- so if you can avoid walking your pets or letting them outside at these times- you’re lowering their exposure to these pesky creatures. Eliminate any standing water around your home. Even the tiniest of puddles can become breeding grounds for mosquitoes. If you have a bird bath in your yard, make sure you fill it with fresh water regularly, not only will you keep the birds happy, you’ll be helping control mosquitoes. Consider a natural repellent. Although I’ve never used it, I have heard that lemon eucalyptus oil is a natural insect repellent. Use it sparingly, though- as it has a very strong scent- and may be unpleasant to some noses. If you’re concerned about Zika and your pets, don’t be. Heartworm disease is still the biggest mosquito-borne threat to your pets; and if you’re using heartworm prevention products properly- you’ve got almost nothing to worry about when it comes to mosquitoes. If you’re giving your pet an oral heartworm prevention, but forget to give it each month, call us to set up an appointment to talk about an injectible heartworm prevention which lasts for six months. Of course, as more data comes in about the Zika virus and your pets, we’ll keep you updated.